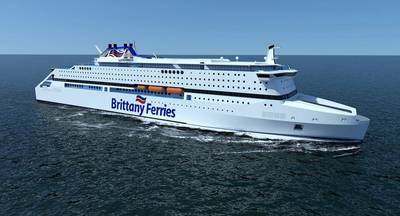 International classification society Bureau Veritas (BV) is to class a gas-fuelled major ro-ro passenger ferry newbuilding and oversee the conversion of three existing ro-pax ferries to LNG power for Brittany Ferries. A major risk analysis carried out by Bureau Veritas together with Tecnitas was integral to the decision process for Brittany Ferries to switch part of its fleet to gas fuel. A new LNG-powered ferry has been ordered to be built under BV class at STX France. 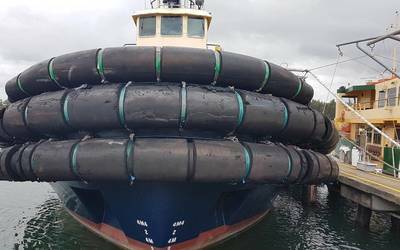 The 24.5 knot ship will be one of the largest LNG-powered ro-paxes yet with a passenger capacity of 2,475 and space for 800 cars. It will utilize GTT membrane tank technology for the gas containment, allowing a larger capacity and extended period between bunkering operations. Three existing ferries in the Brittany Ferries fleet will also be converted to gas propulsion in the future under Bureau Veritas supervision.